Three yogis with wide-ranging teaching experience, entrepreneurial backgrounds, and active careers in non-fitness professional services came together to form Upward District LLC in June 2018, and began operating Yoga Noma in September 2018. Upward District, based in Washington, D.C., provides professional management services to maintain and grow community-based fitness models. Our strategy involves increasing investment in experienced yoga teachers, forging a more active presence at local community events, and pursuing corporate partnerships for yoga events/programs that enhance the joy of local employees and residents. Upward District seeks partnership with NoMa BID to expand the positive returns on investment into the NoMa community by growing Yoga NoMa as a hub for greater health and happiness. Alisha came to Yoga NoMa first as a law student and now continues to give back to the community by teaching. Alisha enjoys the way Yoga NoMa allows both students and teachers alike to find themselves on the mat. She teaches an all-levels class with a special focus on breath-linking movement and inclusivity, empowering students to explore their practices and themselves. When not teaching yoga, Alisha advocates for long-term care consumers as a healthcare public policy attorney at the National Consumer Voice for Quality Long-Term Care. A former middle-school principal, Christine works for a DC education consulting firm coaching principals in DC charter schools. She has been teaching at Yoga NoMa for two years since her move to DC, appreciating the strong community that’s been formed amongst teachers and practitioners. 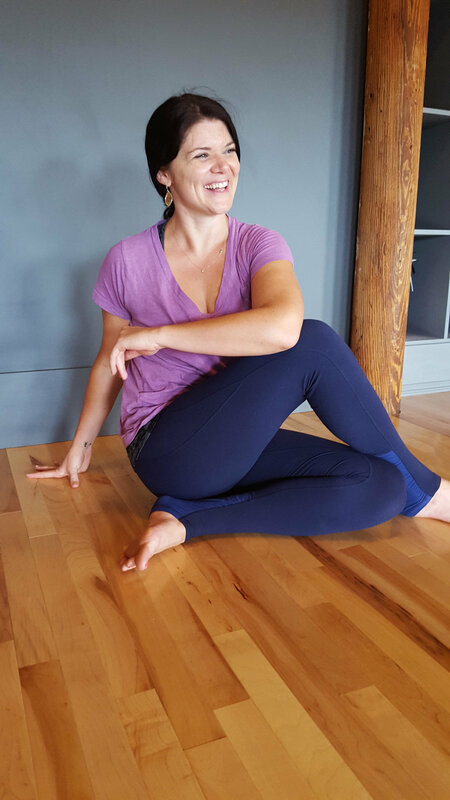 Christine teaches both SPA and vinyasa, both classes linked closely to the Fluid Yoga format under which she studied in Boston. A serial entrepreneur and former research professor of political science, John joined the Yoga NoMa community after completing the Whole Yogi yoga teacher training in 2017. John loves how Yoga Noma explores the connections between the inward work and the work out. John teaches a variety of the ‘express yoga’ classes. When not teaching yoga, John currently works as a data scientist for a boutique consulting firm specializing in business intelligence, commercial gaming, and national security; and as a co-founder and managing editor of the South Living Room, which is a digital space sustaining and empowering entrepreneurial, creative projects (such as blogs, podcasts, fiction, etc) for Millennials. In addition, he co-founded, along with Alisha, a volunteer-based yoga program (Meet in the Middle) that partners with the Community Services Foundation to provide free yoga classes to senior residents in DC community centers since 2017.